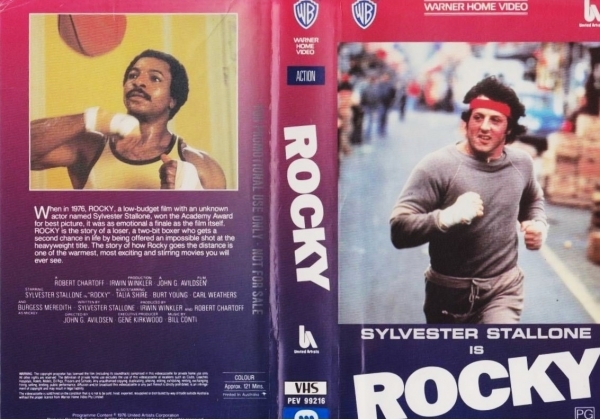 When in 1976, ROCKY, a low-budget film with an unknown actor named Slyvestor Stallone, won the Academy Award for best picture, it was as emotional a finale as the film itself. ROCKY is the story of a loser, a two-bit boxer who gets a second chance in life by being offered an impossible shot at the heavyweight title. The story of how Rocky goes the distance is one of the warmest, most exciting and stirring movies you will ever see. Or find "Rocky" on VHS and DVD / BluRay at Amazon.